In January Dad, Mik, and I went to Walt Disney World. 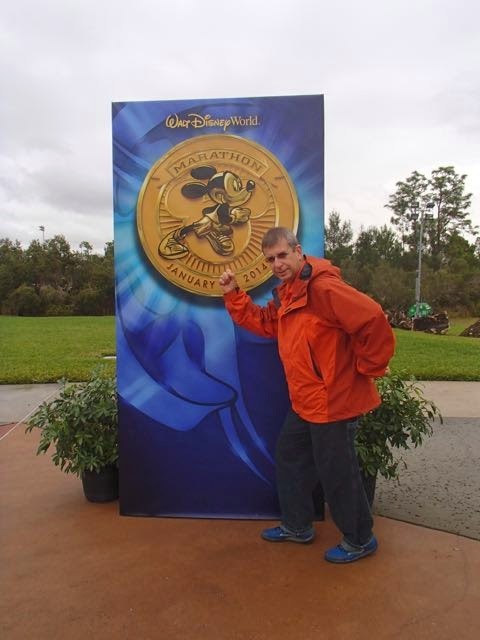 Dad ran the WDW Marathon and we enjoyed staying on the Club Level at Animal Kingdom Villas. 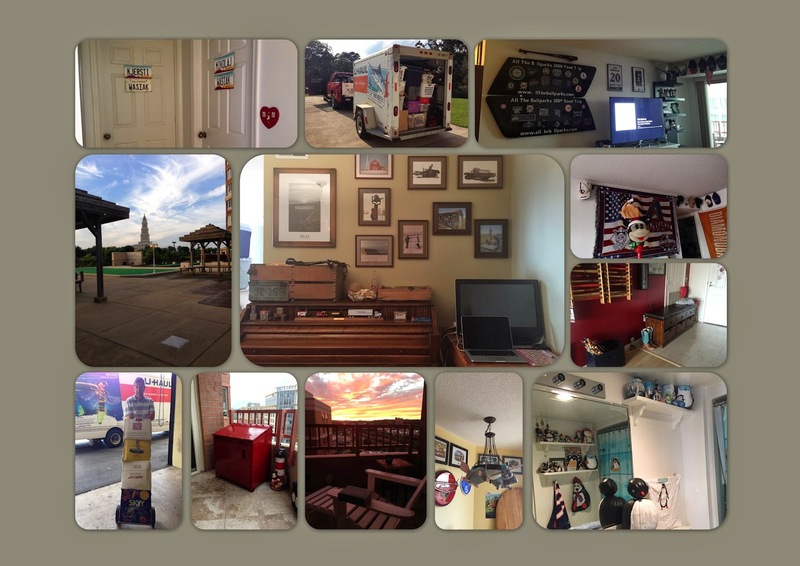 February marked one year in our house in Alabama. 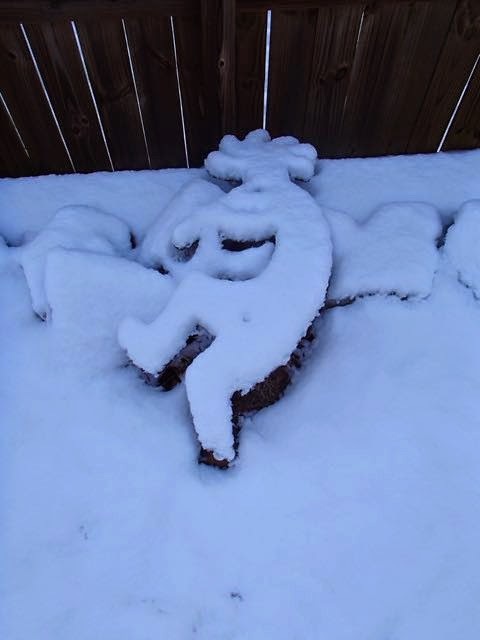 We still weren't unpacked, but we did get snow. Never did really unpack everything in Alabama. However, another move later and we are almost all unpacked in our new places (just a few boxes left in Mik's room and Mom's organizing her stuff at her place is just a forever ongoing project). 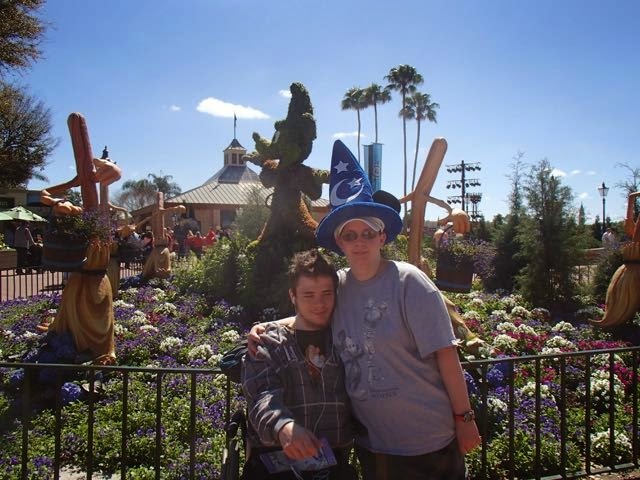 Mom, Mik, and I visited Walt Disney World for a quick weekend trip in March to get our DVC discounted vouchers for next year's Premier Passes and go to the Epcot Flower & Garden Festival. I spent a lot of the first half of the year at the lake house we rented, especially after Charter finally decided we weren't too far from a hook up to have internet in March. 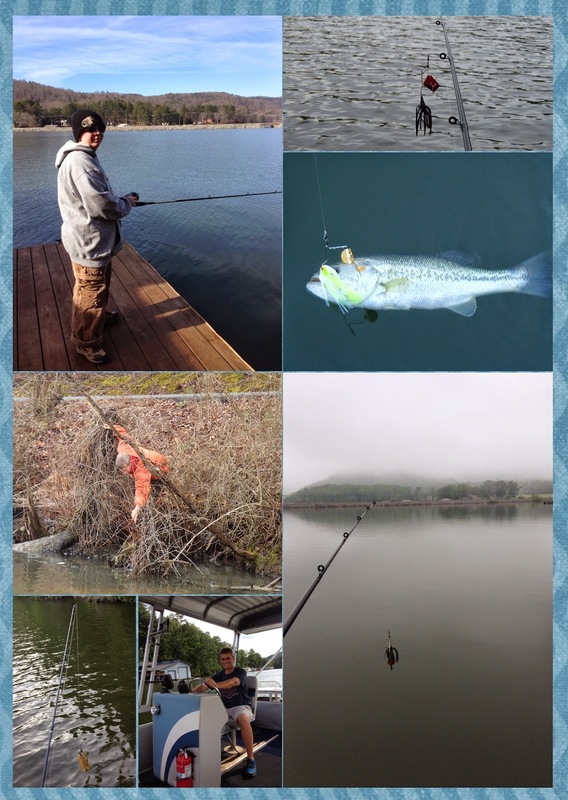 Did quite a bit of fishing, but only caught one fish, which was early on Easter and ended up being our Easter dinner. In March/April we decided that it made more sense to switch from saving for a dream house on the lake to a condo in the DC area as it actually made sense as a place for us to live long term. In April we went to check out different areas and condos. 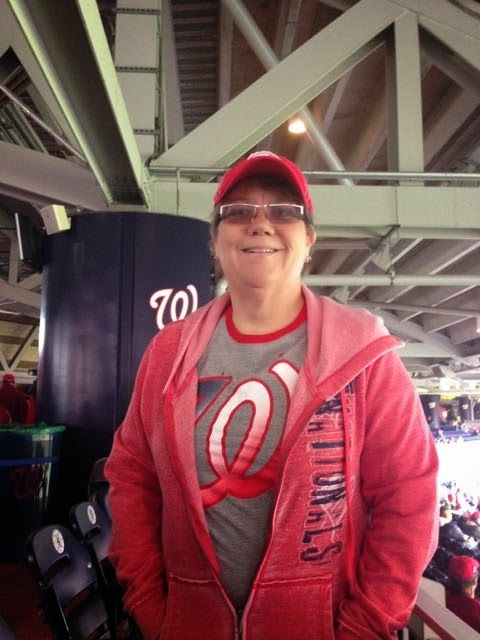 We also went to Opening Day at Nationals Park. We did end up making an offer on a place, but they refused it because they did not want to make reasonable accommodations to the entry. Loved that unit, but it turned out for the better because we ended up in a community with much better amenities and I got my patio. 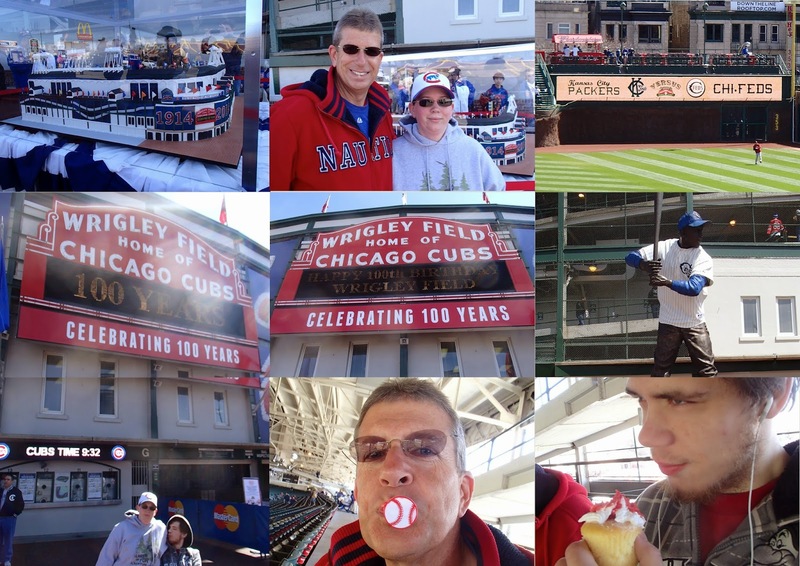 As soon as the 2014 Cubs schedule came out last year we decided we would see a game at Wrigley Field during the 100th Anniversary season when the Dbacks were in town and we choose the Wednesday game because that was Dad's off day, so he wouldn't have to take as many days off to go. Ended up being the actual 100th Anniversary date! 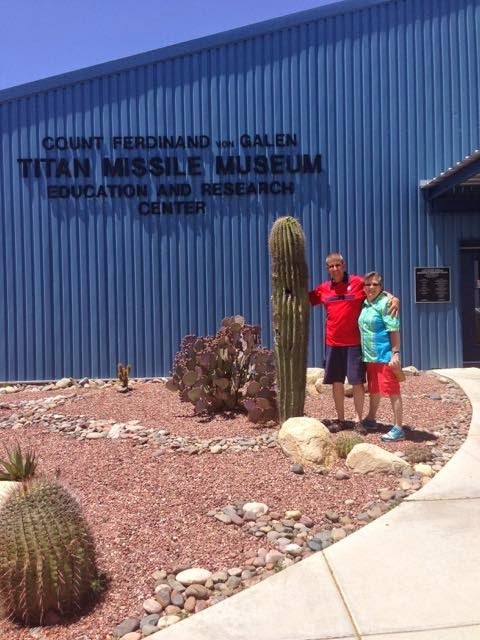 We all ended up back in Tucson in May and visited the Titan Missile Museum, which we had never gotten around to visiting in all the years we lived in Tucson. At the end of May we closed on Mik's and my condo in Alexandria. In June Mom got a job relocation to Virginia and her and Dad found a condo to rent in the same complex as ours. The moving process took four months, but unlike still having at least a room full of boxes a year later from the AZ to AL move we have actually pretty much entirely finished unpacking (or at least Mik and I only have a few boxes left in Mik's room). When checking out the local used bookstore when we first got our condo in Alexandria I found a 1940s Virginia Guidebook that Mom got me as a housewarming gift. 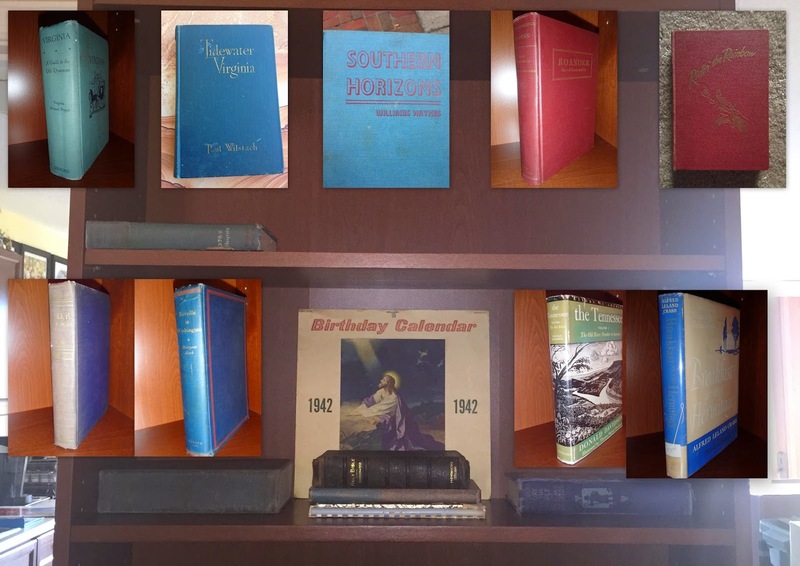 After finding 1940s book on Tidewater Virginia I decided to start a 1940s book collection by finding books printed in the 1940s at local used bookstores. I'm using a bookcase we put in our dining room for the collection, which now includes several books I already had from the books I saved from my Grandma Kjos' library, a dictionary my Dad had that was originally my Grandpa Wasiak's, and seven other books I've found at various used bookstores in my travels this year. 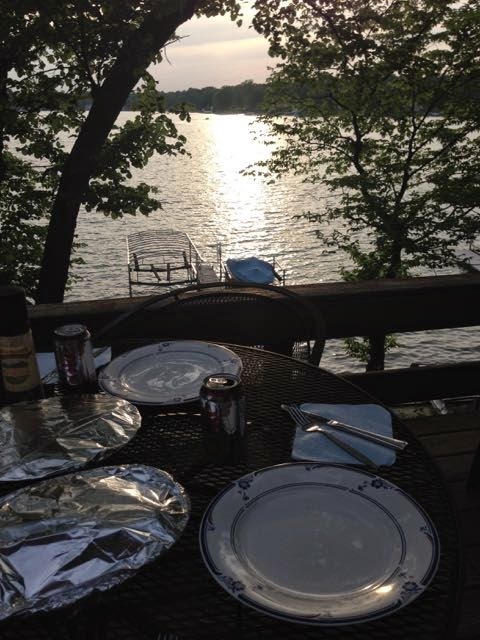 I enjoyed some time at the cottage in Michigan with Grandpa, Jeannie, and Kirsten in June. 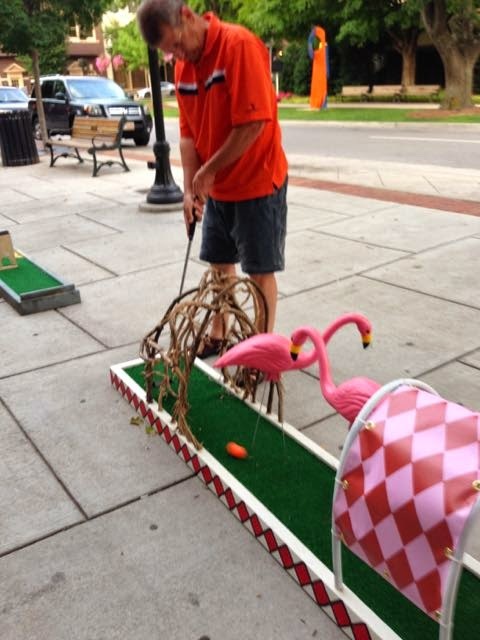 Also, in June Dad and I checked out the mini golf that was set up along the sidewalks in downtown Huntsville. 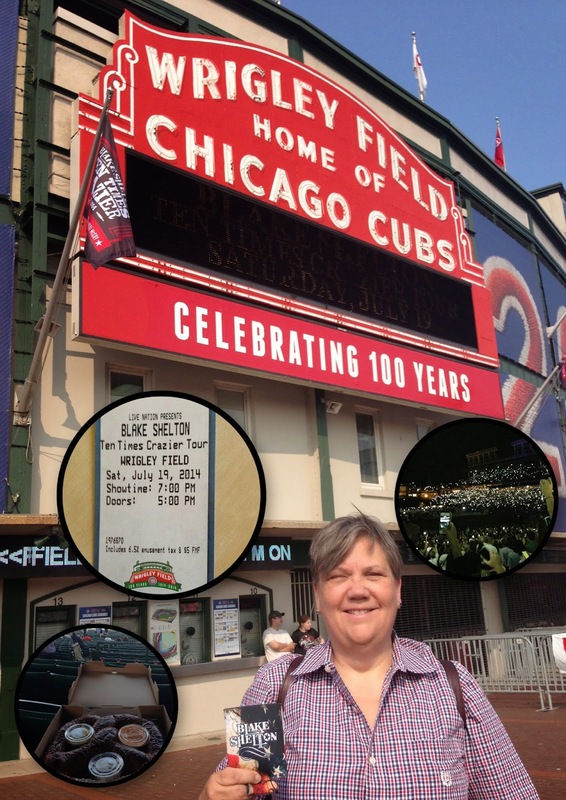 For Mom's birthday in July I got us tickets to see the Blake Shelton concert at Wrigley Field. She said it was the best concert she's ever been to. Mine, too, but I still don't officially like concerts. However, it was awesome see Neal McCoy perform. He's a true entertainer. 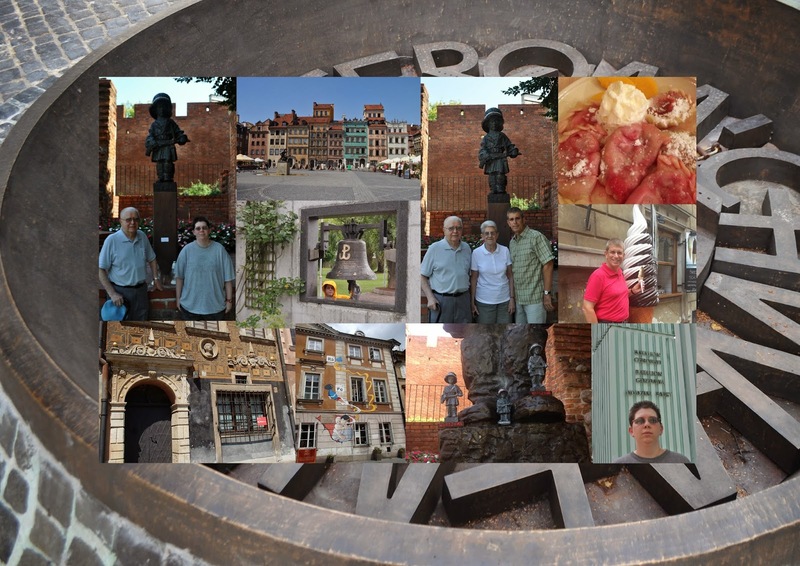 Dad and I went to Poland in August for the 70th Anniversary of the Warsaw Uprising. I enjoyed hearing the first hand stories from my Grandpa Wasiak as we visited the Warsaw Uprising Museum and the area he grew up in Old Town. When we lived in Arizona we traditionally went to a Nats @ Dbacks game once a season. Now that we live a metro trip away from Nats Park we went to several games this season, but most importantly we started a new tradition of going to a Dbacks @ Nats game. 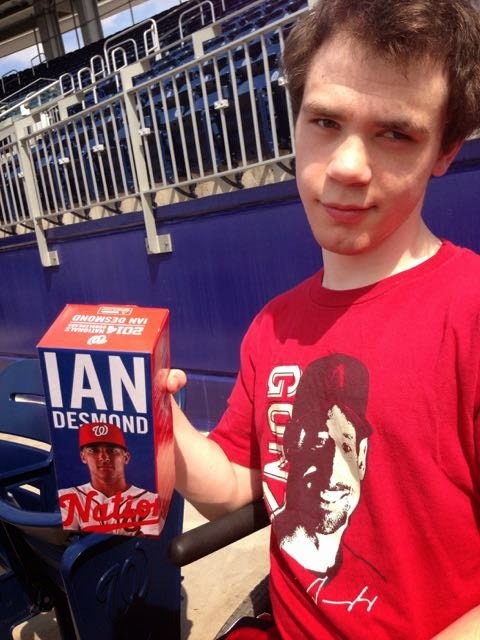 Also, I got Mik to agree to be a Nats fan now that we live in the area. He's still a Dbacks fan, but he roots for the Nats, too, unless they're playing the Dbacks. For my birthday in October we went on a Disney Cruise that included Mik and I finally going to Mexico (Cozumel) and a stop in Jamaica. Mom and Dad also did the Castaway Cay 5k. I also ended up with a fleet of Dumbos from collecting the popcorn buckets for my Dumbo lamp project and also Mom getting me a stuffed Dumbo, which Mik found quite snuggy. 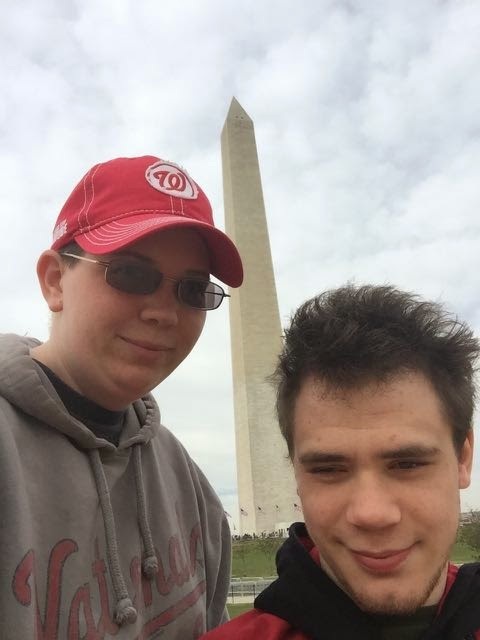 For years I have been wanting to take Mik back to the top of the Washington Monument, but it kept being under renovations when we visited and then repair after the earthquake. It reopened around the time we moved to the area and in November we finally got tickets and did it. Mik couldn't enjoy the view as they did not have the periscope like when we took him in 2006, so he still has no idea what I have been trying to explain to him all these years because he doesn't remember it. The weekend before Christmas Mom and I went to Nashville as she got us tickets to see the Opry at the Ryman as my Christmas present. When I heard about the Kelly Clarkson's Miracle on Broadway concert I got the tickets for that as her Christmas present (I told her not to get used to concert tickets as presents!). 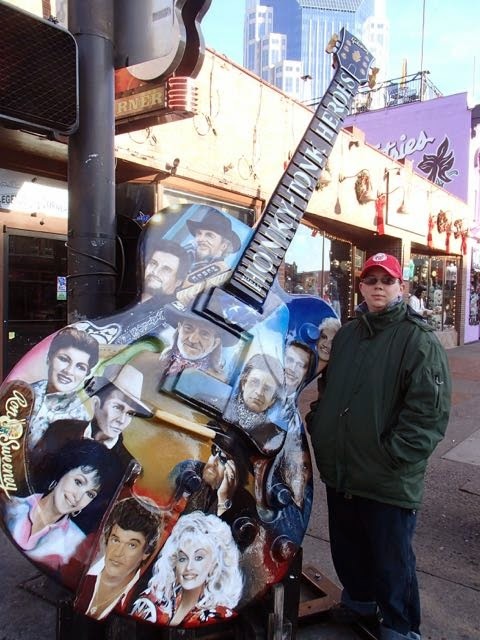 We also toured the Ryman, visited The Hermitage, got boots, and enjoyed music at a honky tonk. Since moving to Alexandria Mik and I have enjoyed visiting the various museums, especially the temporary exhibits, in D.C. 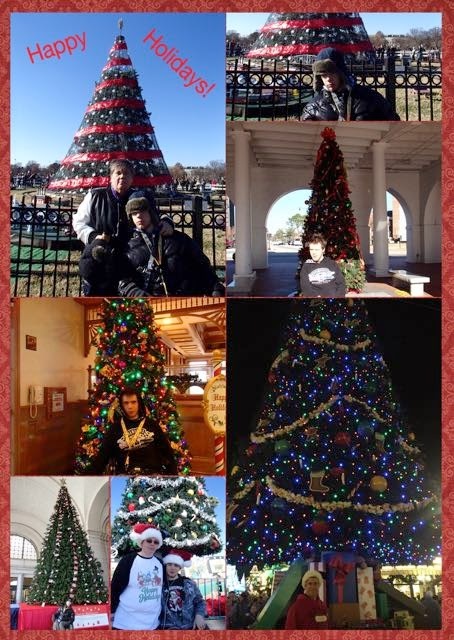 In December I took him to a variety of the holiday things including the Holidays at Union Station, Capitol Christmas Tree, National Christmas Tree, and our favorite Season's Greetings at the U.S. Botanic Garden. 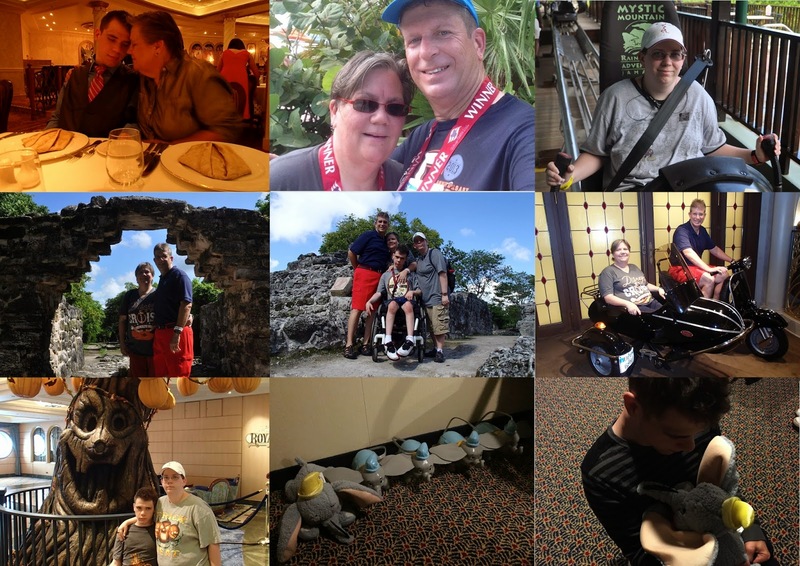 In December we also visited Walt Disney World mainly to pick up next year's annual passes, but also to enjoy the holidays at the parks.